I was assisted in creating this blog post by my five-year-old son, Caleb. Although we already have different interests, we both share an important one, which is reading a story before we go to sleep. I think it’s so important to instill a love of reading in your children from the very start. From birth, I started reading out loud to him. The very first book I remember reading to him was The Lion, the Witch, and the Wardrobe by C.S. Lewis. Sure, he couldn’t understand the story, but he was listening and watching me say the words, which I think helped immensely with his speech and vocabulary later on, as he was speaking in sentences at just two years old. In just five years, I have read hundreds of books to him, but there are a few that stick in his mind as being “the best”. Many of them are classics that we all grew up with, but some of them are just a few years old or newer. So, here they are, in no particular order. 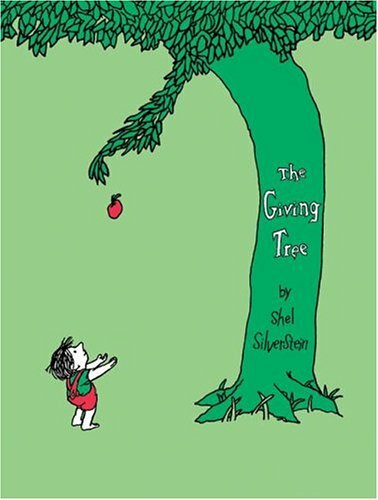 Published over 50 years ago and written and illustrated by the very gifted Shel Silverstein, most of us have grown up with this story about a tree who gives and gives to this little boy until she has nothing left but a stump. Such a powerful story for children with so much meaning for adults who have watched their children grow up, making sacrifices in the name of love. It also teaches children the importance of giving and expecting nothing but the happiness of giving in return. Caleb requested this book read many, many times, mostly because he liked the illustrations and the giving spirit of the tree, wondering what the boy would ask for next. This is another one of those classics that I remember as a child. 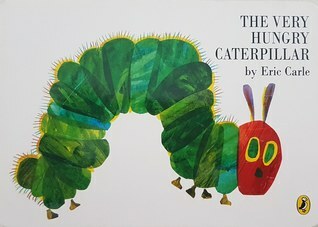 Published in 1981, written and illustrated by Eric Carle, this book has delighted millions of children around the world. It basically goes through the short life cycle of a caterpillar, but adds some humor and repetition for children to enjoy. We have the board book version, which is great for younger children, as it teaches them the days of the week, names of colors, and the different foods that the caterpillar engorges himself on. Caleb loved to point to the different foods and name each one. This is a newer book, published in 2017, written and illustrated by Caldecott medalist, Dan Santat. 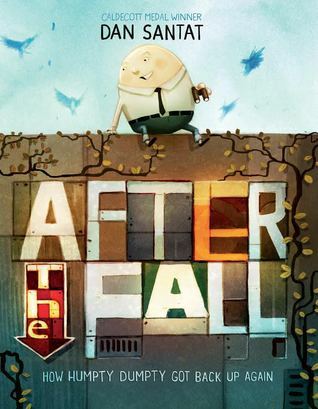 The book revisits the famous Humpty Dumpty after the “great fall”. He is banged up and cracked in quite a few places. He is now terrified of heights, until one day his paper airplane lands on, not just any wall, but THE wall. Will he regain the courage he once had to climb that wall? I LOVE the message this has for children, which is the importance of getting back up when you fail, even when all seems lost and no matter how terrified you are. Caleb picked this book because he loved the pictures and the awesome surprise ending, that makes you look at Humpty Dumpty in a totally different way! This is the ultimate bedtime book! 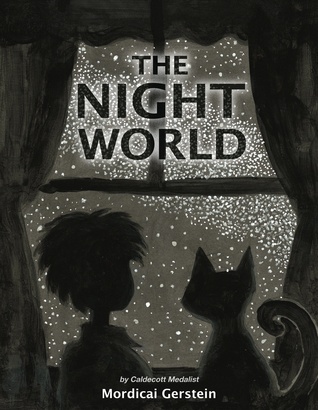 Written and illustrated by Caldecott medalist Mordicai Gerstein, it gives kids a whole new perspective on the world during nighttime. As the little boy in the book tiptoes through the darkened house to let his cat outside, kids can guess what all of the silhouetted objects are in the illustrations and marvel at how different they look in the dark. Caleb loves that aspect of this book because he can always find something he didn’t notice before. The author and illustrator of this book are a husband and wife team, and Caldecott medal winners. These are probably the best illustrations I have seen in a children’s picture book. They were created with a pencil and woodblocking technique, which gives the characters a unique and endearing look. Amos is a zookeeper at the city zoo. His life runs like clockwork and he is always there for his animal friends, until one day he doesn’t come to work. The animals are so worried about Amos that they leave the zoo, catch a bus, and visit him at home. 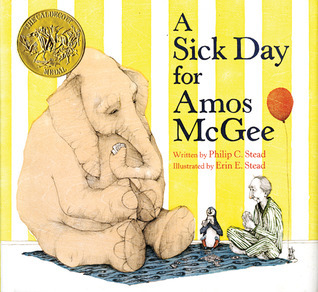 Caleb picked this book because he knows what it’s like to be sick and to miss his friends. He loves that the animals visit Amos, which brought up a lot of questions, such as, “How did the elephant fit in the door?” This book teaches children the meaning of true friendship and caring for people who are not feeling so great. The illustrations in this book are amazing and the main reason my son chose it. It also has a subtle message for readers. The authors and illustrators are brothers and very talented artists. The story begins on the copyright page, with a colorless drawing of the town, possibly during or shortly after the Great Depression. The people are shown walking hunched over and no one is smiling, not even the children. 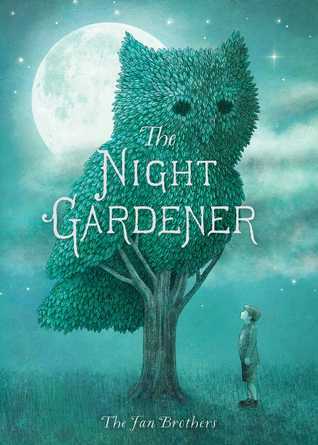 Enter the night gardener and his amazing animal topiaries. As his works of art start to positively affect the community, the colors in the illustrations gradually increase. I love this story in that it leaves much that you can interpret yourself, like who the gardener is and his purpose. Our opinion is that he is sent to towns that have been through some hard times and have lost their sense of community. Through his beautiful creations, he brings happiness back into the towns. I am not capable of making a list of read-aloud books without including this timeless classic! I must have read this to Caleb hundreds of times in the first few years of his life. I could probably recite it from memory if I tried. Adults and children have been ending their long days with this book for over 70 years now. Caleb chose this book because I started reading it to him from Day 1 of his life and it became a bedtime tradition. 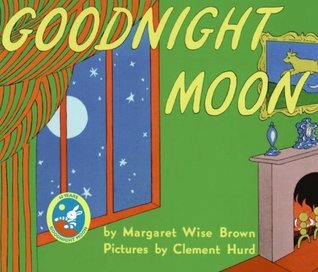 For those who are not familiar with this book, it is basically about a little bunny saying “Goodnight” to the objects in his room, and of course, the moon outside his window. This is another book that is perfect for bedtime, especially for those children who are afraid of the dark or of monsters under their beds. Caleb chose this book for the illustrations, which are really beautiful. 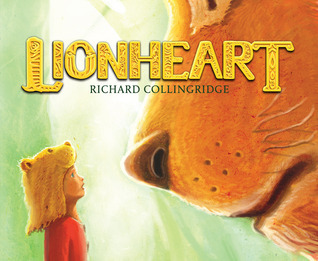 It’s about a little boy named Richard who dreams of running from the scary shadows in his room and escaping to a magical jungle, where his stuffed lion, Lionheart, comes to life and helps him face his fears. While I was not particularly fond of this book to begin with, I read it to Caleb because he absolutely loves it! It was a book that his teacher read to him in class, and he loved it so much he requested that I get it from the library. When I asked him what he liked about it, he said it was really funny. The author definitely has a very unique writing style, one that very much appeals to children. 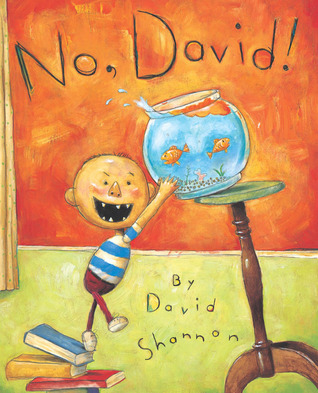 This is the first in a series about a little boy named David, who breaks ALL of the rules! His mother is constantly telling him “No!” when he jumps on the bed, chews with his mouth open, and even when he runs out of the house naked! I think my hesitation with this book was that it highlights the misbehavior of a child and makes it humorous. But, it also lets the child know that even though he misbehaves, he is still loved, and that is what my son got from it as well as a lot of laughter. This book proves that too much of a good thing can go terribly, horribly wrong! I enjoy reading this book as much as Caleb and that is why he chose it for this list. Jasper Rabbit loves eating carrots. He eats them every chance he gets, and pulls them up out of Crackenhopper Field by the handful. But then one day, he gets the eerie feeling that he’s being watched and followed, by what look like giant carrots! Is he dreaming? 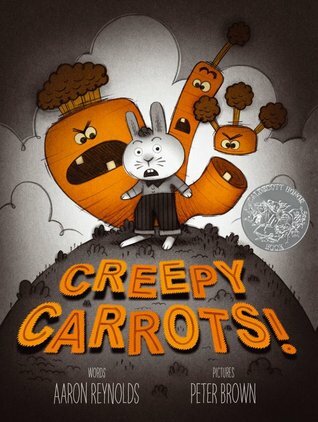 Or are the carrots trying to get revenge for his constant snacking habit? Thank you so much for reading Caleb’s recommended reading list for read-aloud books. We hope that you get as much enjoyment from them as we have and that they inspire other kids to become readers. I would also encourage you to look for these titles at your local library before purchasing them. Libraries are SO important to communities and they need your support! Please comment below with your own recommendations for read-aloud books. Happy Reading! cute assistant and I love these books too! Thanks for the ideas. I am working on a wise trees book and it has beautiful hand painted trees with little life lessons. I hope my book makes children like yours. These books give me lots of ideas to go read and research as I nearly finished. Thanks for this great list! I would love to read your book when it’s finished! It sounds like it will be beautiful! oh thanks I will let you know. I have followed you and will contact you here when the book is published. Your son is adorable!! My husband’s favorite book from childhood is The Giving Tree and Goodnight Moon is in my top ten for sure!! Reading aloud is SO IMPORTANT! i have actually read that reading aloud is something parents should do even after kids can read to themselves because it helps with tone and vocabulary, etc. I was a teacher before I was a librarian so even though technically I am a reference librarian, I do help out with children’s programs so that our children’s librarian doesn’t get burned out. Anyway–my favorite book to read to kids is Mr. Brown Can Moo by Dr. Seuss. There is something to the rhythm of the book that makes it fun for me to read.